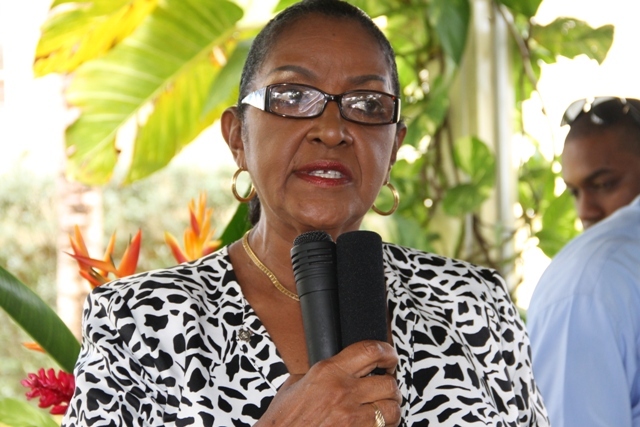 NIA CHARLESTOWN NEVIS (January 30, 2015) –Deputy Premier of Nevis and Minister of Tourism Hon. Mark Brantley urged more hotel establishments on the island to be a part of the Hospitality Assured programme, and noted that on successful completion they would receive regional and internationally-recognised certification. 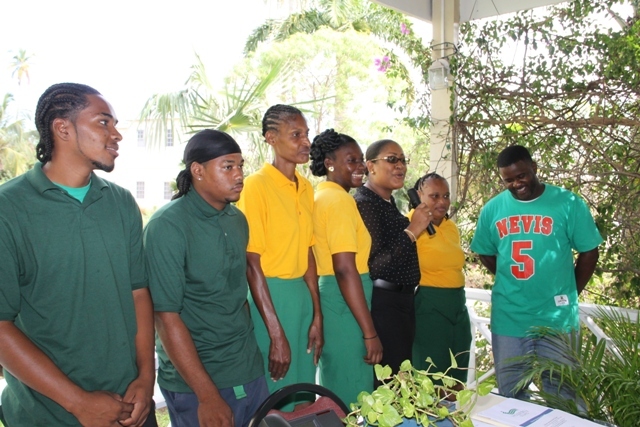 Mr. Brantley’s called for participation in the Caribbean Tourism Organisation Programme when he recently led a team from the Ministry of Tourism to the Nisbet Plantation Beach Club and the Nelson Spring Resort to deliver his personal congratulations on their successful completion of the Hospitality Assured programme. 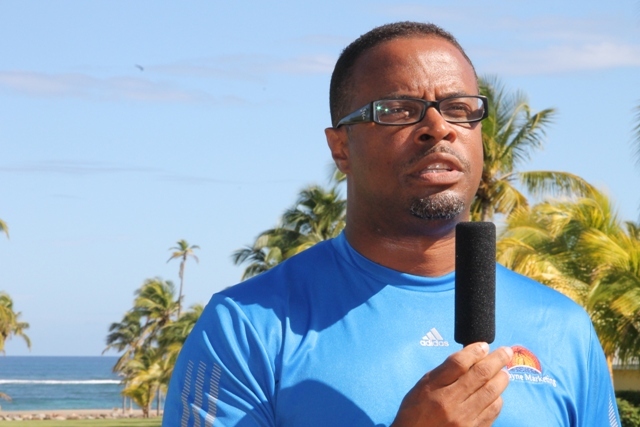 He noted that the programme was introduced to the Nevis Island Administration (NIA) and it was embraced with enthusiasm from the Ministry level. He stated that although the island’s tourism industry had already been acclaimed internationally, it was felt that it was important to stay ahead of the curve and to invite properties on the island to continue to improve. continue working hard. He reminded them that tourism no longer meant only sun, sea and sand but memorable guest experiences as well. “People want memorable experiences and memorable experiences come from the personal touch, the contact that we have with each other. It comes, in essence, from our service,” he said. 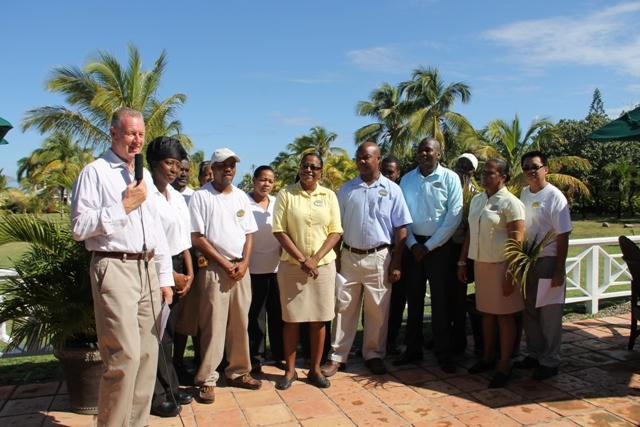 In response to Nisbet Plantation’s latest accolade General Manager Alistair Forrest thanked Mr. Brantley and the Ministry of Tourism and others who had assisted the resort, along its Hospitality Assured journey, for their support. He said the process was tedious and to complete the resort had to achieve a pass rate in all nine steps. However, it proved tremendously helpful to the hotel as a business which allowed them to take an introspective look at themselves as individuals, as a team and as a business which would allow them to plan the way forward. Manager of the Nelson Spring Resort Jeanette Grell-Hull said the HA application process made the staff evaluate and upgrade business practices, strive for innovation as well as crystallise their business plan and future goals. commitment to continuous improvement, to excel in customer service and business excellence every minute of the day. Grell-Hull stated that they were confident that the achievement would give them the competitive edge they needed to grow the company and make it sustainable for years to come.